Brig. Gen. Carl Schaefer, 412th Test Wing commander (left), presented Col. Jason Schott, former 412th TW vice commander, with a shadow box featuring unit coins and other memorabilia during his retirement ceremony June 14, 2018. Brig. Gen. Carl Schaefer, 412th Test Wing commander, presided over the ceremony. The general introduced the Schott family and thanked them for all their support throughout the years and gave a special thank you to the parents of Schott. 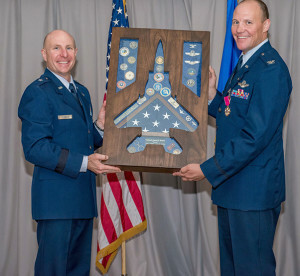 Schott received his commission in 1993 as a distinguished graduate from the U.S. Air Force Academy. He served as an instructor pilot, flight examiner and developmental test pilot. 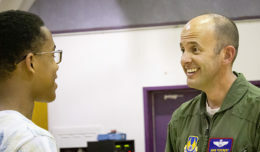 He is a graduate of the U.S. Air Force Test Pilot School at Edwards and a command pilot with more than 2,800 flying hours in over 30 aircraft variants. 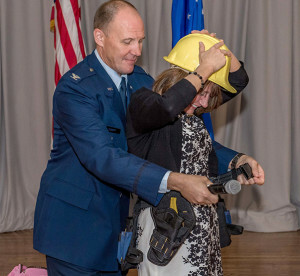 Col. Jason Schott gave his wife, Emily Schott, a hard hat and tool belt as a gift to help construct the house they plan to build in Colorado during his retirement. 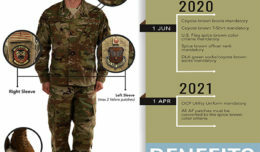 As 412th TW vice commander, he supervised and synchronized the mission activity of 30 groups, divisions and wing staff agencies. 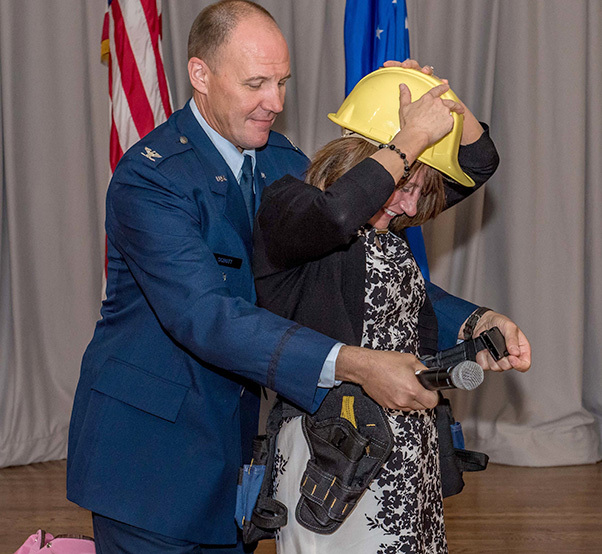 Leading the Air Force’s second largest base, he oversaw 11,000 military, government civilian and contractor employees. Schott thanked everyone for coming to celebrate his retirement. At the end of the ceremony the vice commander made some closing remarks.